International graduate students and U.S. non-citizen residents often face many challenges when it comes to taking out and refinancing their student loans. The limited lending market often has more to do with bank regulations than a borrower’s creditworthiness. However, Prodigy Finance is a company looking to change this. Prodigy Finance offers loans to students at over 150 schools worldwide (most based in the United States, the United Kingdom, and the European Union). It offers refinancing to international workers who graduated from top master’s degree programs living in the U.S. or in the U.K. But are these private student loans worth the cost? This is what you need to know before you borrow money from Prodigy Finance. Who Can Borrow Money from Prodigy Finance? What Are the Interest Rates and Terms Offered by Prodigy Finance? Do the Loans from Prodigy Finance Have Any Concerning Fine Print? Prodigy Finance is a company that extends student loans to international graduate students in over 150 schools (see their supported programs here). It also offers refinancing to students in select states and in the United Kingdom. With rates as low as 6.75% (as of December 2018), these can be some of the most affordable student loans for international students who do not qualify for U.S. Department of Education loans. 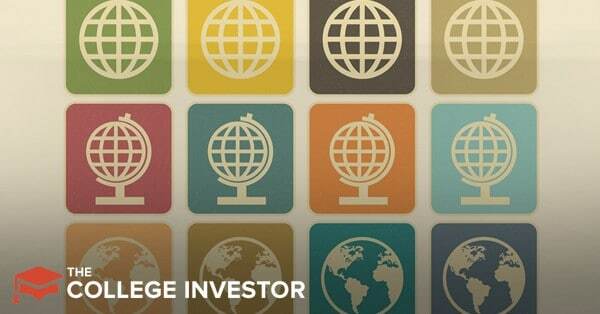 To borrow money from Prodigy Finance you must be an international graduate student in select schools across the world. Undergraduate students will not qualify for loans from Prodigy Finance. You must be accepted into a supported graduate school to qualify for the loans from Prodigy. In addition to being accepted into an accepted school, you must have proof of income, a credit report from your home country (or the country where you currently live), and proof of savings. If you’re a graduate of select master’s degree programs and you live in the United Kingdom or select U.S. states, you may be eligible to refinance existing student loans through Prodigy Finance. Non-citizen residents of CO, CT, FL, GA, IL, KS, KY, MD, MS, MO, NE, NH, NJ, NM, NY, NC, OK, OR, PA, SC, TX, UT, VA, and WI may qualify for refinancing from Prodigy Finance. You will need a credit report and proof of income to refinance through Prodigy Finance. Unlike most student loans, the loans offered by Prodigy Finance are variable interest rate loans. The monthly loan payment may adjust as often as every three months, since the rates are determined by the three-month U.S. LIBOR plus a base rate (as low as 4%). Borrowers can borrow funds for terms ranging from 7 to 20 years. Some student loans from Prodigy Finance require a 2.5% admin fee. This fee depends on where you’re enrolled in school. The loan limits for Prodigy Finance’s loans depend upon the cost of attendance at the school in question. For some programs, Prodigy Finance extends loans up to 100% of the cost of attendance. For other programs the maximum loan amount is 80% of the program’s cost. Refinancing limits depend on your current loan amount, your current salary, and other factors. Loans from Prodigy Finance have two small areas of concern. The first area of concern is that these loans are variable interest rate loans. As interest rates rise in the United States (or the U.K. or the eurozone), the interest rate on your loans will rise too. While this may not be a big problem in the short term, many of Prodigy Finance’s loans amortize over 20 years. That means that you could be subject to dramatically higher payments later on in the life of your loan. The second issue related to borrowing from Prodigy Finance has to do with its underwriting. Most loans are underwritten based on your savings or your current income. However, Prodigy Finance underwrites its loans based on your expected future income. That means you may end up overborrowing if you can’t earn the expected salary right out of school. Since these loans don’t have income-based repayment options, borrowers could end up in financial trouble. If you’re an international student who needs money for graduate school, Prodigy Finance may offer the best possible rates for you. However, you should carefully consider whether you can realistically afford the monthly payments upon graduation. International students who need to refinance their loans should shop around carefully. Many banks will refinance student loans for borrowers who are legal residents of the United States, so borrowers may find better interest rates and terms elsewhere. Consider comparing rates and options at Credible to find the best rates for your situation.